Sta. Rita Hills Wine and Fire The Sta. Rita Hills Winegrowers Alliance has scheduled the 2015 Wine and Fire event for the weekend of August 14-16. The Kickoff Party will be held at the Sanford & Benedict Vineyard Barn which housed the first winery in the Santa Rita Hills. Winemakers will pour library wines, small production bottlings and large format bottles along with an array of pizzas and antipasti to nosh on. The Saturday Morning Seminar pays homage to the “fire” in Wine and Fire with a focus on local chefs and their four unique grilling styles. After the presentation, wine will be added to the fire as winemakers team with local chefs to pair their wines with the BBQ eats. 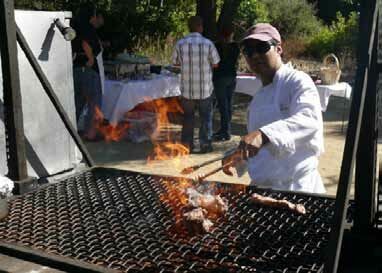 Saturday evening will be the Wine and Fire Grand Tasting at La Purisima Mission where over forty wineries will be pouring along with food from local chefs and farmers. Early bird pricing ends July 31. For tickets, visit www.nightout.com. 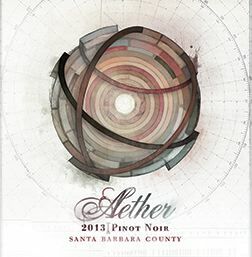 Winemaker Jeff Fink Launches New Project Well-known Santa Barbara County winemaker Jeff Fink (Tantara, Pence Ranch) has launched Aether Wine Company with the release of Central Coast Pinot Noirs and a Chardonnay from the 2013 vintage. Visit www.aetherwines.com for more information and to buy wines. Maggy Hawk to Participate in Cochon 555 Aspen’s Cochon 555 Grand Cocohn event, “Pigs, Pinot and Preservation,” will feature bacons prepared by ten chefs from heritage breeds of pigs. On Saturday, June 20, 2015, Maggy Hawk will present the Bacon Hall of Fame, pouring single clone, single block Maggy Hawk Pinot Noirs alongside some of the most epic cuts of bacon from some of the most singular breeds of heritage pigs. Cochon 555 is a celebration of, and a movement to protect, rare heritage breed pigs. For information and tickets, visit www.cochon555.com. 2015 Russian River Valley Passport Weekend (formerly Passport to Pinot) This popular event will take place Saturday and Sunday, June 27-28, 2015. Sponsored by the Russian River Valley Winegrowers (RRVW), more than 30 acclaimed wineries in the Russian River Valley AVA will share current, early and limited release wines. The unique experience will allow access to some participating wineries that are not normally open to the public. A limited number of VIP package tickets are available for the full weekend which includes the two-day Passport experience and an intimate barbecue dinner at Gail Ann’s Vineyard on Saturday where the centerpiece will be a whole pig roast. For information and tickets, visit www.rrvw.org/rrvpassport. 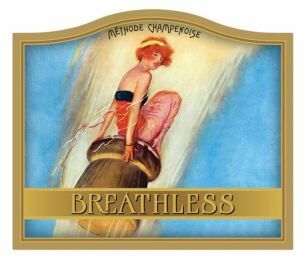 Breathless Wines Crowd Funding Campaign Breathless Wines was founded in 2011 by three sisters - Cynthia Faust, Rebecca Faust and Sharon Cohn, as a tribute to the sisters’ mother, Martha. Along with winemaker Penny Gadd-Coster, the winery produces 1,500 cases annually of award-winning Brut, Blanc de Noirs and Brut Rosé sparkling wines. A significant portion of the winery’s profits go to more than a dozen nonprofit partners such as the Healthcare Foundation of Northern Sonoma County. A crowd funding campaign will be launched in September to build a tasting room in Healdsburg. Use of the space will be donated quarterly to Breathless’ nonprofit partners for fundraising and educational events. Visit www.breathlesswines.com to donate. 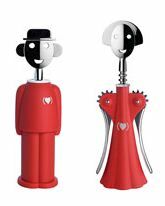 Alessi USA Fight Aids By Design Program The new red “Anna G” ($67) and “Alessandro M” ($52) corkscrews designed by Alessandro Mendini are available for purchase at www.Alessi.com. Each purchase helps provide lifesaving medication, that when taken daily, can prevent HIV and mothers from passing the virus to their unborn babies. Brown Bag Wine Tasting with William Shatner A new season of “Brown Bag Wine Tasting” is now available with a sneak peek at what to expect at Ora.tv: http://goo.gl/rYkuvJ. The latest show features Executive Wine Editor for Food & Wine Magazine, Ray Isle, who is asked to blindly taste wine and describe it using terms of his occupation. The show was created out of Shatner’s love of wine and conversation, as well as wanting to have a fun wine tasting experience in an entertaining format. Notable Wine Expert Steven Spurrier on MUNCHIES VICE’s food channel “MUNCHIES Presents” heads to England to interview Steven Spurrier, on of the most influential figures in the world of wine. Spurrier relates how he became interested in wine at a young age, made international headlines with his wine school in Paris, and put California wine on the map one day in 1976. Spurrier also takes MUNCHIES on a tour of his Dorset vineyard where he is producing English sparkling wine, and his personal wine cellar with 3,500 bottles. Watch it here: http://munchies.vice.com/videos/munchies-presents-steven-spurrier. Wines of Danger - Media & Trade Tasting “Small producers living dangerously” is the tagline for a group if independent winemakers who have joined forces to promote their small wine brands to the trade and media. Wines of Danger - Part 3: The Prequel will be held August 17, 2015, from 11 am to 4 pm at Mission Rock Resort in San Francisco. Current releases will be offered from 20 wineries, including some reviewed in the PinotFile, including Scratch, Waxwing, Comanche Cellars, Calstar Cellars, and Ser. Visit www.winesofdanger.com for more information. New Anderson Valley Label from Ferrington Vineyard On Father’s Day, Father’s & Daughters Cellars will release its first two wines - a 2012 Ella’s Reserve Pinot Noir and a 2013 Sauvignon Blanc from Ferrington Vineyard. Production will be between 60 to 100 cases of each varietal and will be available primarily through a mailing list or by contacting the winery direct at pacurar.guy@gmail.com. The label represents the collaborative effort of three generations of fathers and daughters: Patriarch Kurt Schoeneman, his daughter Sarah, Sarah’s spouse Guy Pacurar, their daughter, Ella, and Guy’s older daughter, Taylor. While lauded wineries like Williams Selyem, Schramsberg, Flowers and Arista have produced wines from Ferrington fruit, the family has never created and bottled a wine for sale under their own label until now. The wines were first poured at this year’s Anderson Valley Pinot Noir Festival and the LA Winefest. Subsequent releases will include a 2014 Chardonnay and a 2015 Gewüztraminer from the Ferrington Vineyard. 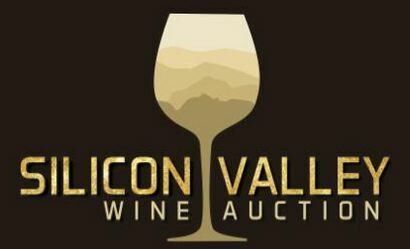 Silicon Valley Wine Auction A wine and food tasting on a grand scale will be held at Levi’s Stadium in Silicon Valley, California, on Saturday, June 20, 2015. 50 wineries from the Santa Cruz Mountains AVA will be pouring over 150 wines. This is the largest tasting of Santa Cruz Mountains wines ever! For information and tickets, visit www.scmwa.com. Solsitice on the Summit Wines grown at seven wineries in the Summit area of the Santa Cruz Mountains will be featured. The event will be held Saturday and Sunday, June 20-21, and features wine tasting, gifts for sale from local artists, live music, food and tours. Tickets are $25 for both days and are available at participating location. Participating wineries are in the Summit Road area between Santa Cruz and Los Gatos and include Burrell School, MJA Vineyards, Silver Mountain, Villa del Monte and Wrights Station. On Sunday, Muns Vineyard and Radonich Brothers Winery will be at The Summit Store. California Vineyard Acreage Wine&Vines (June 2015) noted that The National Agricultural Statistics Service reported that wine grape acreage in California increased by 0.8% in 2014. Bearing acreage was the same at 565,000, while non bearing acres increased 11.1% to reach 50,000. Chardonnay (15.9%) and Cabernet Sauvignon (14.3%) comprise the largest number of total acres planted. 20 Popular Grape Varieties Defined Tim Edison’s WineTurtle website has recently posted summaries of all the major wine grape varieties. Information includes basic history of the origin of the grape, the grape’s organoleptic qualities, recommended food pairings, and an expert opinion on what sets that particular grape type apart from the rest. I gladly contributed my two cents about Pinot Noir. Read the post at www.wineturtle.com/types-of-wine-grape-varieties/. Call to Oregon Wineries to Improve Website Content & Communication Since I visit winery websites every day, I have noticed for some time that many Oregon winery websites are woefully outdated and old-fashion, lack critical information, and have grammatical and content errors. The incredible rise in popularity of Oregon is amazing when you compare the woefully inadequate marketing acumen of many Oregon wineries with their California counterparts. Sure, Oregonians are laid back and maybe less money driven than Californians, but if you make wine, you must sell it! I was happy to see a recent column by Jim Gullo in the Carl Giavanti Consulting Blog at www.carlgiavanticonsulting.com/blog. Jim reiterates my observations perfectly, stating, “We (Oregon) remain behind on the world stage in marketing generally and content in particular.” He points out, “When consumers get the idea that most, or at least a majority of wineries produce wines of a similar quality, it is the story, the presentation and the professionalism of the content - of telling the winery’s story - that put it at the top of the list for tastings and direct sales....Wineries that want to stand out also need professional content management and marketing.” Only recently have I noticed Oregon wineries enrolling public relations and marketing firms to tell their story: something California wineries have been doing for years. Not infrequently, I receive wines to review from both Oregon and California wineries accompanied by very little marketing information. The wines can be very good, even exceptional, but if there is no background story to tell that makes the wines special, the wines draw little interest from myself and my readers. A winery submitting wines for review can never supply too much information. At the minimum, include a tech sheet that gives the date of release of each wine and its retail price. Even better, email me personally with a hi-res label image and photos that are different from the website image(s). Describe yourself or your team in detail with personal and historical information. 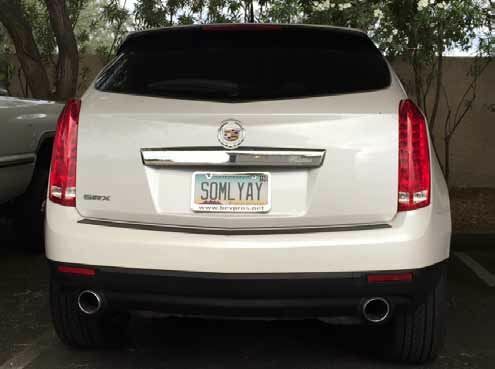 Humor is always welcome. Detail your personal challenges in crafting each wine. Let me know where your wines are available in the marketplace and whether you would be willing to give PinotFile readers a discount on purchased wines.